The compact-crossover SUV has brought their A-game to the 2019 model year. These vehicles not only offer the space you're looking for, but the handling and features you need. The real test then becomes, which of these vehicles is the best? We're here to help solve that mystery by comparing two of the very best--the 2019 Jeep Compass and the 2019 Hyundai Tucson. Both SUVs have their own list of standard features that make them stand out from the crowd, but we're here to make sure that you get the best of the best. In the 2019 model year, the Compass adds a few package options, including the Upland package. This package includes front skidplates, front bumpers, all-weather mats, and tow hooks. The 2019 Tucson has made a few major changes in 2019, including the exterior and interior designs, and the addition of equipment including lane-keeping assistance and forward-collision mitigation. These features mean that this race is off to a roaring start, but who will win? Keep reading to find out who we crowned as the best compact-crossover SUV! Everyone knows that having the Jeep emblem blazing on an SUV means that it offers off-roading capabilities and power that cannot be matched. 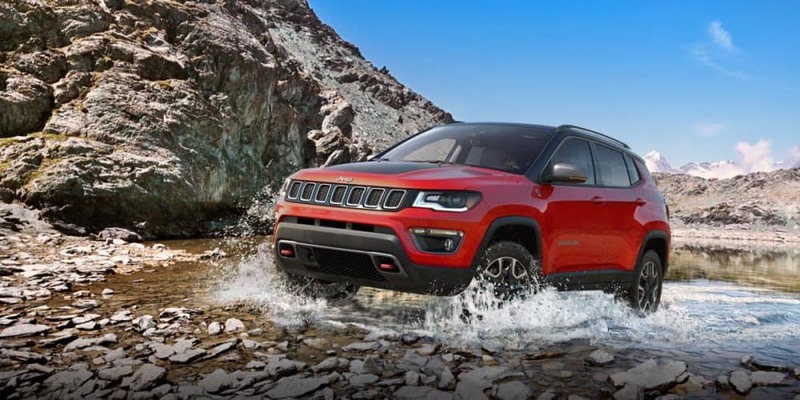 The 2019 Compass comes standard with a 2.4-liter engine that can pump out up to 175 lb-ft of torque and 180 horsepower. This engine gives you three transmission options, including a six-speed manual, a six-speed automatic, and a nine-speed automatic. If you opt for an automatic transmission, then you'll also be getting stop/start technology, which makes fuel economy that much better. You also get the option to choose from a two-wheel drive model, or a four-wheel drive model. If you're at all worried about towing, don't be! Four-wheel drive Compass models can tow up to 2,000-lbs! The Hyundai Tucson offers two engine options. The first of these is the lackluster 2.0-liter inline-4, which produces just 164 horsepower and 151 lb-ft of torque. This engine comes with either front-wheel or all-wheel drive. The other available engine is a 2.4-liter inline-4, which creates 175 lb-ft of torque and 181 horsepower. Front-wheel and all-wheel drive are also available with this engine. 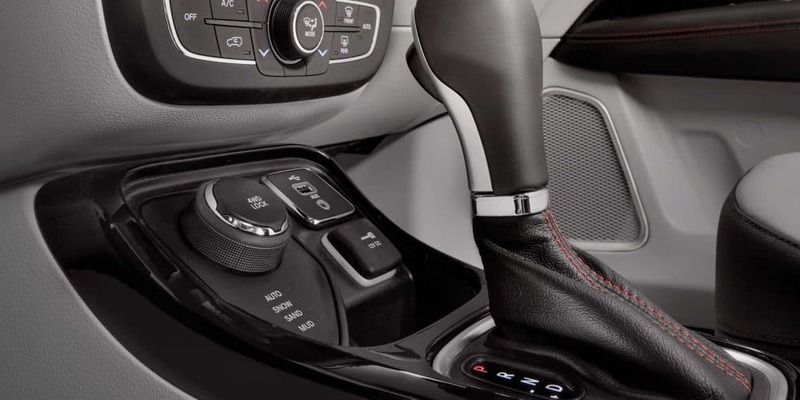 Both engines work with the same six-speed automatic transmission. The lack of transmission options and the weak standard engine make the Tucson a less than exciting option when it comes to anyone looking for off-roading adventures. The Compass not only comes with a powerful engine, but it is also available in four different trim levels. The first of these is the Sport, which comes with Bluetooth connectivity, air conditioning, a six-speaker sound system, 16-inch wheels, a USB ports, a Uconnect system, and a seven-inch touchscreen display. Another available model, the Trailhawk, comes with a Selec-Terrain system, a raised suspension, red tow hooks, a matte-black hood accent, underbody skid plates, off-road-oriented tires, and 17-inch wheels. The most well-equipped trim is the Limited, which includes a power-adjustable driver's seat, an 8.4-inch Uconnect touchscreen, a heated steering wheel, Apple CarPlay and Android Auto, leather upholstery, satellite radio, a power-adjustable driver's seat, 18-inch wheels, automatic dual-zone climate control, and an upgraded driver information display. The 2019 Tucson comes in six different trim levels. The base model SE comes with features like a 7-inch touchscreen, forward collision warning with automatic emergency braking, a windshield wiper de-icer if you choose AWD, a 60/40-split folding back seat, Android Auto and Apple CarPlay, heated mirrors, lane keeping assist, a USB port, a height-adjustable driver's seat, Bluetooth, and a rearview camera. Another available model, the Limited, comes with a power-adjustable passenger seat, leather upholstery, a 360-degree parking camera system, upgraded door trim, and a heated steering wheel. The highest option, the Ultimate, includes an upgraded 8-inch touchscreen display, a panoramic sunroof, an upgraded driver information display, adaptive cruise control, heated rear seats, and ventilated front seats. While these options are impressive, the lack of a proper off-roading trim makes the Tucson a one-trick pony. The compact-crossover segment is most definitely nothing to scoff at, especially with the Compass and Tucson leading the pack. However, the 2019 Jeep Compass is most definitely the vehicle to beat. This SUV gives you a smooth on-the-road ride, and an always impressive off-roading experience. The Tucson is great when it comes to regular commuting, but the lack of any real off-roading fun means that it is one-dimensional, and not very enjoyable for anyone with an adventurous spirit. 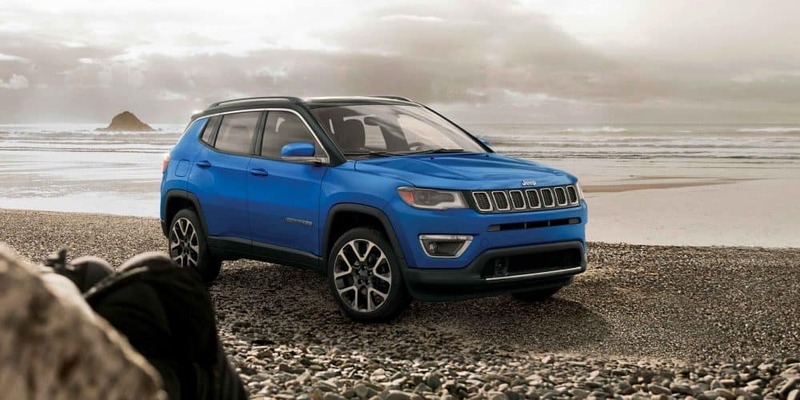 Be sure to read our full 2019 Jeep Compass review that is linked down below, and give us a call today!